Japan basked in a glorious weekend of sporting success. TOKYO: Japan's World Cup preparations were given a timely shot in the arm after their female counterparts captured the Asian Cup on Sunday on a day of triple celebration for the country. 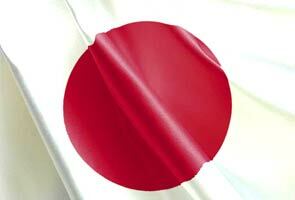 With the Brave Blossoms booking their place at next year's rugby World Cup and the Japanese men winning badminton's prestigious Thomas Cup team competition for the first time, Japan basked in a glorious weekend of sporting success. Japan's women -- also the reigning world champions -- beat Australia 1-0 in Sunday's final in Ho Chi Minh, and while it would take a miracle to go all the way in Brazil, the men will surely be boosted by the latest example of "girl power". "We are all supporting the men," said Japan striker Homare Sawa, voted FIFA women's player of the year after propelling Japan to their astonishing World Cup success in 2011. "I really hope this will give them extra motivation in Brazil." Japan's women triumphed in Germany just four months after the 2011 tsunami and resulting nuclear crisis, providing some respite for a nation in grief. At home Japan's rugby players qualified for an eighth successive World Cup by thrashing Hong Kong 49-8 in a fitting farewell to Tokyo's National Stadium before it is bulldozed and rebuilt for 2019. Japan hosts the rugby World Cup that year with Tokyo staging the Summer Olympics in 2020, putting Japanese sport into sharp focus in the run-up. It's a banner time for racquet-eers in Japan: after tennis player Kei Nishikori recently became the first Japanese man to break into the world's top 10, the country's shuttlers arguably went one better. Having ended China's decade-long dominance of the Thomas Cup in a shock 3-0 semi-final win, Japan beat Malaysia 3-2 in the final in New Delhi. Takuma Ueda slumped to the floor pumping his fists after winning the crucial rubber, saying afterwards: "It feels amazing because it all depended on me." Where the likes of Hidetoshi Nakata and baseball's Ichiro Suzuki were once freakish exceptions, there is no denying the substance behind the style of Japan's current generation of athletes, mirrored in the heroics of Nishikori and Japan's "Nadeshiko" iron ladies, named after a frilly pink carnation. When Japan face Ivory Coast in their World Cup opener on June 14 they are unlikely to be overawed by the sight of Didier Drogba or Yaya Toure. Like Nakata before him, the swagger of the bleach-blond Keisuke Honda illustrates Japan's confidence on the world stage. After a golden weekend, Japan might just feel they have it in them to spring a surprise in Brazil.